The Art Director and Systems Designer of Diablo III sit down with The Escapist to chat about just what's taking Blizzard so long making this game. 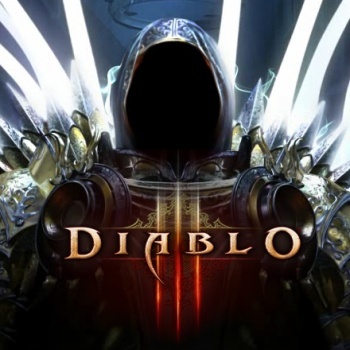 World of Warcraft: Cataclysm might have been the main event at this year's BlizzCon, but PC gamers of all walks of life are dying to get their hands on Diablo III - playable here for the third year in a row, but still with no release in sight. Christian Lichtner: My name's Christian Lichtner and I'm the Art Director on Diablo 3. Jason Bender: I'm Jason Bender, Systems Designer on Diablo 3. The Escapist: The big news for D3 this BlizzCon is the Demon Hunter - and that's all five classes revealed. How long have you guys known that these were going to be the five classes? Did you know close on, or did you decide it over the years? Christian: We actually knew that we wanted to do a ranged class from the very get-go. Literally, from the beginning we knew we wanted a ranged class. We started designing it very early on and through very different circumstances we kept bumping it off. "OK, we'll work on this class next, we'll announce this one, we'll announce this one," until literally the ranged class became our last announced class. At that point, we had taken all of our concept lore up until that point - and we showed some of that during our presentation for "The Hero Emerges" for the Demon Hunter. It's very interesting because we took a breather and I said "OK, now that we have four classes up there, what do we really want to push on this?" We looked at what we had up until that point and we said "There's some things that we need to tweak." That's how the Demon Hunter was born. It was very much a goal for us to find a class that we could have be a little more mysterious, a little bit on the darker side, maybe someone where you're not quite sure where she's at with things. She reads a lot of demonology, she's really adept at runes, she does gadgets and traps. Having her be the contrast to the monk - which was announced in 2009 - was really something that we really wanted to do. We had a nice balance. Also, we were huge fans of Diablo 2 obviously, so having a medieval-Gothic class was a nice tribute to Diablo 2. Jason: [D3 project lead] Jay Wilson was really big on the barbarian. The barbarian and the wizard were obvious choices for him. From there, that's really how we can grow to these more - I don't want to say esoteric - but they're a little bit more unusual classes. It's hard to start with the Demon Hunter and go to the barbarian from there, right? We had a couple that we knew we wanted to nail and that we had a very clear vision for, and the rest grew from that. TE: So the design for the Demon Hunter was very much influenced by what you didn't use on the other classes? Christian: In some ways, yes. In the beginning, we knew it was going to be a ranged class. That had to be a gimme. Also that it illustrated a ranged class. Visually speaking, you want to make sure it weaves correctly. Usually people who choose a class will choose it for a reason. "I want to be really strong, I want to melee, and vice versa, I want to be a caster." So, that was a big deal then.